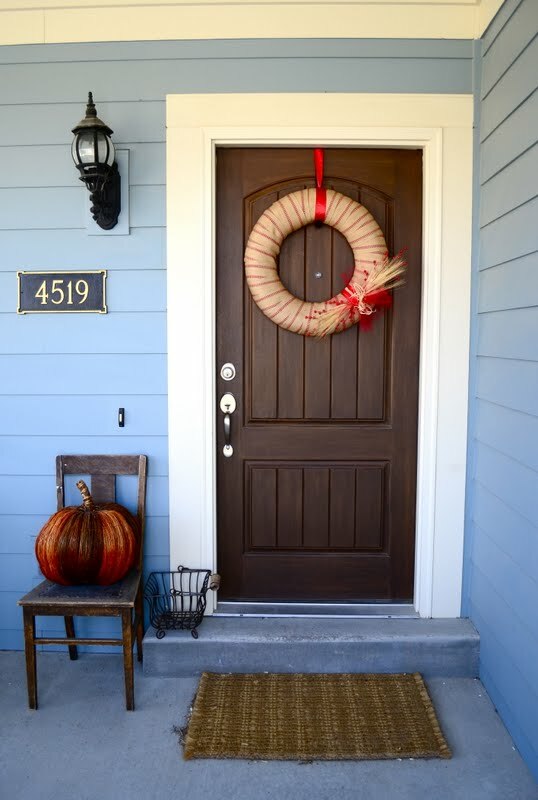 I'm sharing my Fall Wreath that I recently made! I started with the Straw Wreath Form that I actually bought at Salvation Army for $3!! It's super big which I love, Like 18" across. I bought this burlap stuff at Hobby Lobby in the reupholstering section. I LOVE it so much. The material is thick with red striping in it but it does have some sort of chemical treatment that makes it slightly stinky. I started wrapping it up. Simple. No instructions there. wheat sheaths (found at Hob Lob), red tulle, red Christmas berries, some raffia. Really whatever you have on hand! Great tip** To prevent the wreath hanger from scratching my door, I attached a piece of felt normally used to prevent chairs from scratching wood floors. This is so pretty! It still says fall but it's more interesting because it's different from fall decor you usually see this time of year. Beautiful! Thanks for the tip about how to not scratch up the door. I like the simplicity of your wreath. Using the wheat is the kicker. Pinning it. I stumbled across your blog over at the Saturday link up on Be different...Act Normal. I love that burlap ribbon. I keep thinking that I need to take a trip to the local thrift store for a wreath frame or two. Thanks for the inspiration! Very very pretty! I't so simple and chic! I've seen lots of wreaths lately, but this is one of the prettiest I've seen! I love it! Oh, I just love the wheat... what a fun wreath, and a great find. Thanks for showing it off! I love this!! so pretty with the touches of wheat and the burlap. I love how simplistic this wreath is, and I love the wheat you added! 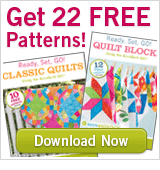 I'd love if you joined us over at Sew Woodsy and share these! I'm over at Positively Splendid!